These caricatures are outstanding. 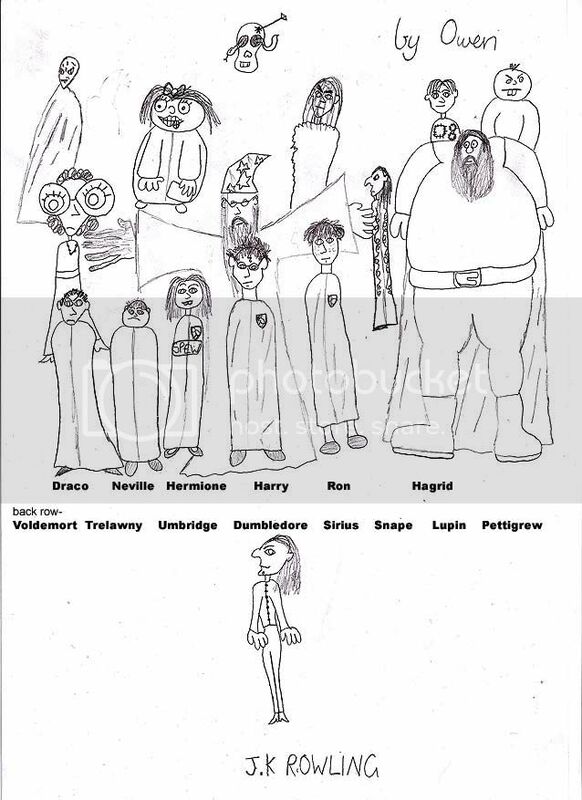 It's hard to believe that this was not drawn by an adult using a childlike technique. Your son has a great deal of potential.